‘Love is that recurrent state that ties you in to the social fabric, to the bodies and brains of those in your midst’. Greetings from the Loving Nature Retreat Space at North Farm! Last newsletter focussed on the love of nature. This time we shift to the nature of love. Surprisingly it was an historian, Professor Timothy Snyder, who got me (Jen) thinking in new ways about love. ‘Make eye contact and small talk’. ‘This is not just polite. It is part of being a citizen and a responsible member of society. It is always a way to stay in touch with your surroundings, break down social barriers, and understand whom you should and should not trust. If we enter a culture of denunciation, you will want to know the psychological landscape of your daily life’. ‘People who were living in fear of repression remembered how their neighbours treated them. A smile, a handshake, or a word of greeting – banal gestures in a normal situation – took on great significance. When friends, colleagues, and acquaintances looked away or crossed the street to avoid contact, fear grew’. What’s the antidote to fear, I found myself wondering … and remembered how pioneering cancer doctor Gerald Jampolsky wrote, back in the 1980s, about how ‘love means letting go of fear’. ‘The first precondition for love is a perception of safety. If you assess your current circumstances as threatening or dangerous in any way, love is not at that moment a possibility for you. ‘Love’s second precondition is connection, true sensory and temporal connection with another living being’. ‘It is the key that unlocks the wisdom of your intuitions. Without eye contact, it is much easier to experience misunderstandings, crushed hearts, and exploitation as you over- or under-interpret the friendliness of other people’s smiles. You can also miss countless opportunities for life-giving connection. ‘Eye contact helps you better detect the sincere affiliative gestures within a sea of merely polite or decidedly manipulative smiles that bid for your attention. Love, then, is not blind’. This helped me understand why social media doesn’t really satisfy the hunger for connection that I feel in myself, and that I witness at gatherings here at North Farm: we humans seem to be wired for actual presence … for being together and creating a kind of resonance that feeds itself, in a virtuous cycle of growing good feeling. ‘Within those moments of interpersonal connection that are characterised by this amplifying symphony – of shared positive emotions, bio-behavioural synchrony, and mutual care – life-giving positivity resonates between and among people’. 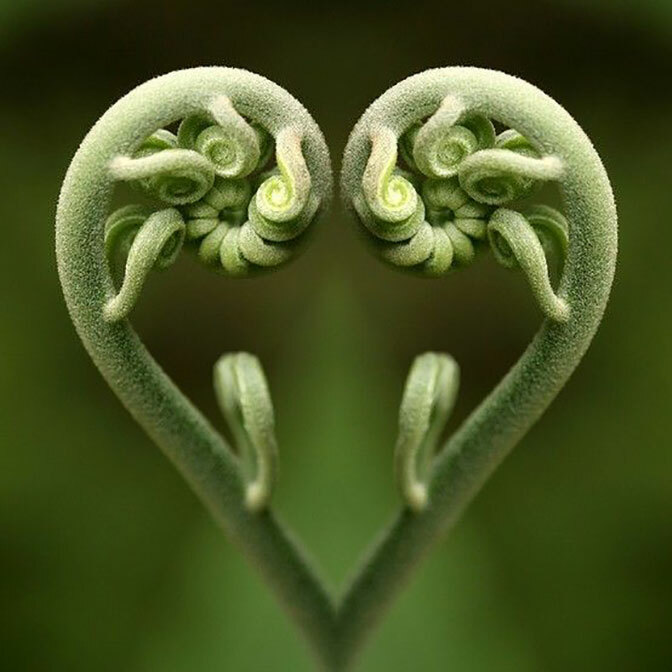 ‘At the heart of love is a feeling – a feeling with both physical as well as mental components. Physically, your whole body feels relaxed, with a warmth and openness in your chest, as if your heart were stretching open to let in or embrace another being. ‘This is the feeling that makes you want to move in closer, to listen and observe more carefully. Mentally, you yearn for good fortune for others. You wish them well with great sincerity. You also wish to show how much you care, to enact tenderness and concern’. Here, for me, is the vital clue to why gatherings are somehow so soothing in troubled times: loving connection (with others, with nature, with inner self – and preferably all three!) serves as an antidote to the alienation and anxiety so many of us feel in modern life. Here at North Farm, Gai and I set out ten years ago to offer a gathering place – a safe and sacred space where people could connect deeply … really connect, in ways that both of us had found invaluable at various times in our lives, and that we knew were rare. Over the past few years we’ve been blessed to witness first-hand the way that people somehow ‘come to life’ when they make space and time in their busy lives for getting together with kindred spirits in a peaceful place. We’ve noticed that by about the third day of a retreat, even the most burned-out city-dweller starts to shed their armour and open up to their surroundings, to notice nature and to feel its healing magic. I see this time and time again as I go about the place doing my farm work: people gradually become more open to some eye contact, and even to a bit of conversation. In these precious chats, leaning on a gate watching the goats ruminate, or looking at the ever-changing light on the mountain range … in these moments of connection I love to hear about what has brought someone to North Farm, and what it is that they longed for when they made the commitment to be part of a gathering, whether it be a yoga retreat, a team-building workshop, or a family reunion. I always feel an impulse to congratulate these people who come to these events … for actually getting it together to gather! ‘The trouble with socialism is that it takes too many evenings’. To me, the sudden smile that this witty comment triggers is a sign that a sore spot has been touched …sore because despite our best intentions it is actually rather hard to commit to being at a specific place at a specific time … which is, of course, the very prerequisite for gathering. So, it turns out that these writers of history and comedy agree: there is indeed strength in numbers – strength to fight fear and to foster love. And it all starts with the strength of mind to make (and keep!) a commitment to make time and space for togetherness. These musings on the nature of love have helped us see gathering as a pro-love and anti-fear tactic for our times. Our wish as we send these mid-winter greetings from North Farm is that you somehow get to gather sometime soon somewhere safe, where you can truly connect with kindred spirits. 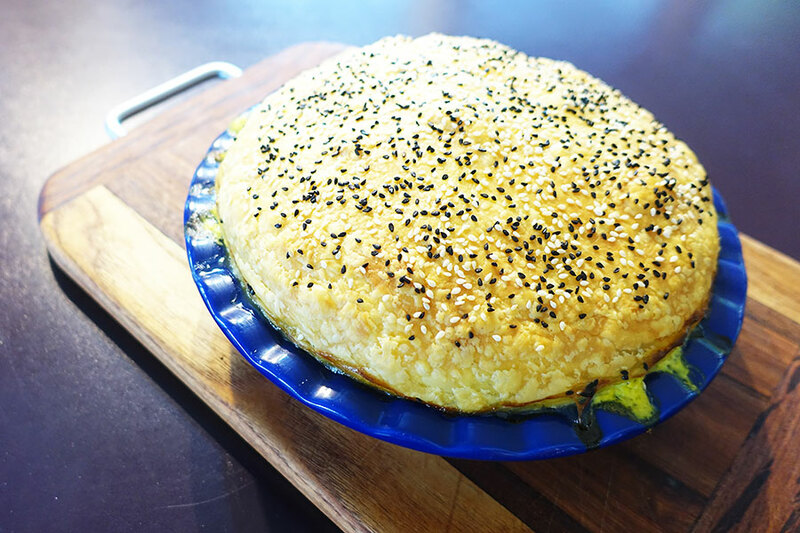 Now, after the brain food, click here for Gai’s truly luscious Easy Cheesy Pie recipe – great for winter gatherings. With love from both of us here at North Farm in beautiful Bellingen.